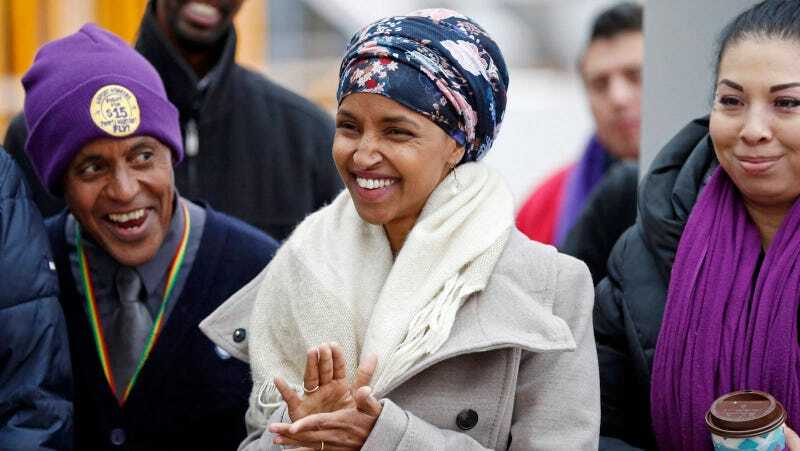 Ilhan Omar, a Somali refugee who recently made history by winning a seat in the Minnesota House, wrote in a Facebook post on Wednesday afternoon that she was “subjected to the most hateful, derogatory, islamophobic, sexist taunts and threats I have ever experienced” by a Washington, D.C. cab driver yesterday. On the way back from policy training at the White House, Omar wrote, the cab driver called her “ISIS” and threatened to remove her hijab, further evidence of the rabidly increased volume of threats and hate speech that have been flying around the country since Donald Trump was elected president. Omar, who has three children, fled with her family from the Somali civil war as a child and spent four years in a refugee camp in Kenya before moving to the United States. In 2014, she was physically attacked by a group of men while working as an aide during a DFL caucus. “All of these identities that I carry are going to be an obstacle,” Omar told The Guardian in February. A rep for Omar did not respond to a request for comment.